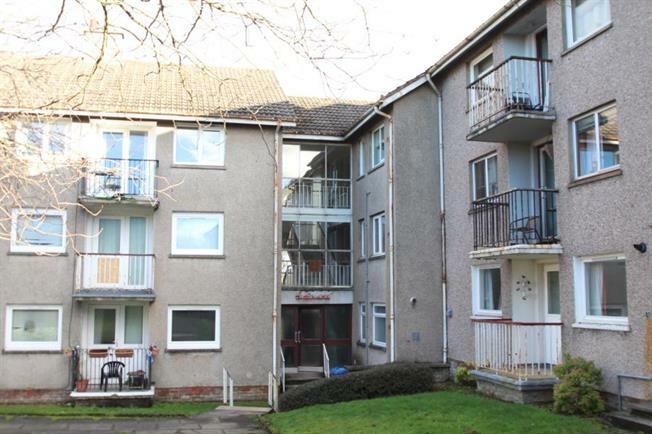 1 Bedroom Ground Floor Flat For Sale in Glasgow for Fixed Price £57,000. This one bedroom ground floor flat is in a sought after location in Calderwood close to local amenities and transport links. The property comprises reception hallway, a good sized neutral decorated lounge, with modern kitchen off the lounge, the kitchen has newly fitted work surfaces and a range of wall and floor mounted units. The bathroom has also be replaced by the current owner ,providing modern 3 piece shower room with LED touch screen mirror and LED waterfall sink tap, this needs to be viewed to fully apprecaited. The bedroom is a good sized double room with modern fitted mirrored wardrobes. The property also benefits from two large storgage cupboards, gas central heating and double glazing. Calderwood square is within walking distance, with a range of shops and food outlets.The EK shopping centre is near by and hosts the largest indoor shopping and leisure centre in Scotland, boasting over 250 retail, leisure entertainment and food units. The Dollan Aqua Centre, Calderglen Country Park and an abundance of green space, country walks, leisure clubs, pursuits, and tourist attractions are easily reached. A well-linked road network provides easy access to Glasgow, Strathaven, Hamilton, Blantyre and the M8, M77 and M74 motorway networks opening up the rest of the country for the greater commute.